Photo by Richard Parmiter, courtesy of the Londonist Flickr pool. 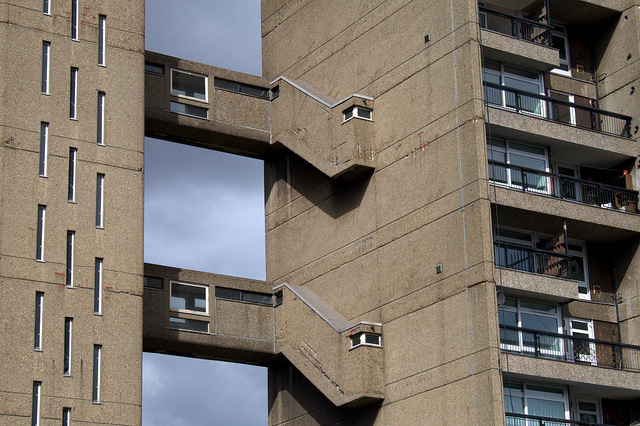 The brutalist modern architecture of Ernö Goldfinger often divides Londoners, but on the 21 June there’s a rare chance to get up close and personal with one of his iconic structures: the Balfron Tower in Poplar. This will actually be the last chance to look around the 1960's landmark as it stands now before it is comprehensively refurbished. Described as a vertical East End festival, the free day-long event includes talks and walking tours with local residents and experts along with performances of dance, poetry and beat-boxing. Look out also for art installations, a floating cinema moored nearby showing short films, and live performances of Macbeth throughout the day inside the tower. Design issues will be explored by 10 international architects who have taken residency in the tower over June. They will unveil projects inspired by the building and also new ideas for regenerating Poplar. A rooftop discussion in the evening will focus on how emigre architects, like the Hungarian-born Goldfinger himself, have helped shape London (speakers include designer Alex de Rijke and architecture writer Vicky Richardson). A bar and pie and mash stall will also be on hand to keep you going. New Perspectives: A Celebration of the Balfron Tower runs all day on the 21 June. Some events need to be pre-booked.